Victorian reproduction furniture is a great way to express your taste in antiques without breaking the bank. Fabulous finds are available from many manufacturers and the updated versions fit within any budget. There are many manufacturers of Victorian reproduction furniture, both in your local retail stores and on the Internet. Most reproduction furniture manufacturers copy styles from antique pieces or may create new pieces with antique style accents. If you are a stickler for detail, research the period before you buy. Buying reproduction furniture doesn't mean you have to settle for substandard quality in the materials being used. Reproductions aren't always made of fiberboard and covered in a laminate. Quality furniture manufacturers will use new hardwoods, hand carvings and marble. Occasionally, they may also use thin veneers, such as black walnut. This is usually done when the original pieces being copied were made of woods that are no longer readily available. Reproduction furniture is beautiful by itself. However, many home renovators want to select their own upholstery fabrics for their reproduction furniture. Many furniture manufacturers carry a line of reproduction fabrics for their consumers. Some manufacturers will make custom furniture if their customer provides the upholstery fabrics. Check with the merchant you are purchasing your furniture from to see what options they offer. Don't forget to collect some beautiful lace doilies to place upon your furniture arms and headrests too! Decorating your home, or even a particular room, can be a lot of fun. Attention to detail is crucial if you are trying for an authentic look. Research can be tedious if you don't know where to start looking. These publications offer many ideas on how to decorate any room in your home, from the smallest hatpin, to where to place that enormous secretary you just purchased! Decorating your home with Victorian reproduction furniture can be a lot of fun, as well as requiring research. An authentic period room will have Victorian fabrics, wall coverings, furniture and accessories. If you aren't sure where to start with your room renovation, consult the many Victorian magazines and online resources available to you.Finding reproduction furniture is easy. There are many merchants and quality craftsmen that produce furniture that would please the most discriminate Victorian. Be sure to thoroughly check the information regarding what your furniture is made of, especially if you are purchasing items through the Internet. 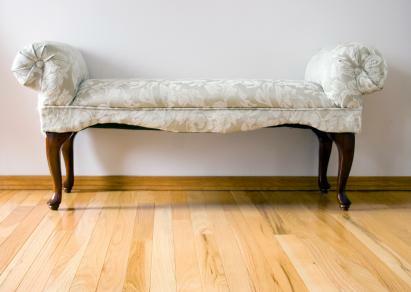 There is a big difference between solid wood furniture and laminates. Finally, have fun collecting and decorating. The final product should be a combination of Victorian flair, as well as personal touches by you.